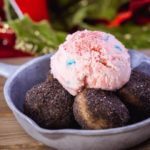 The holidays continue at Disneyland (you can see all of our reviews here! ), and this time we bring you an all new hot dog from Main Street U.S.A.. Say hello to the Philly Cheesesteak Dog from Refreshment Corner! 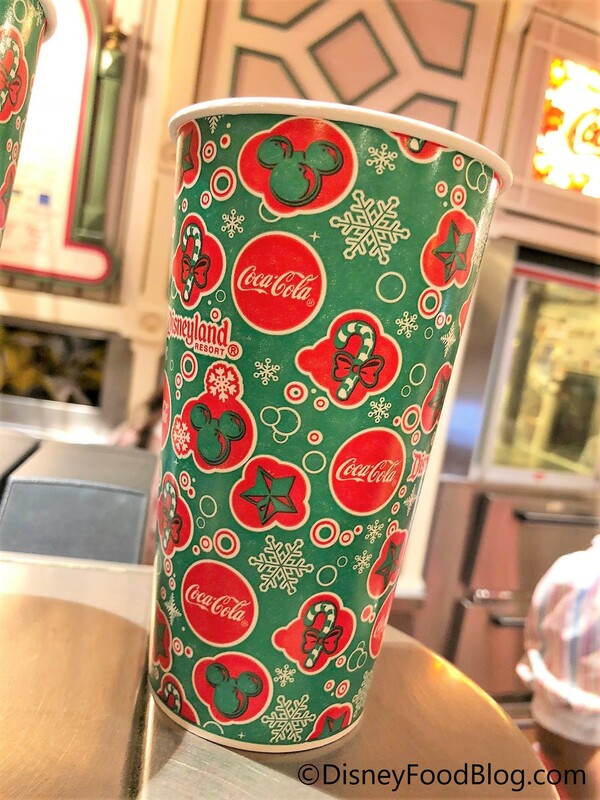 First things first, we got our Disneyland Holiday paper cup! I always look forward to sipping out of these, don’t you? It’s a simple bit of festive cheer! Next up, dinner time! 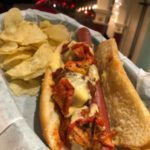 We loved their Halloween Hot Dog, so we were eager to try this new specialty offering. The Philly Cheesesteak Hot Dog is $9.79 and served with chips. It’s topped with sliced roast beef, peppers, onions, and a cheese sauce. 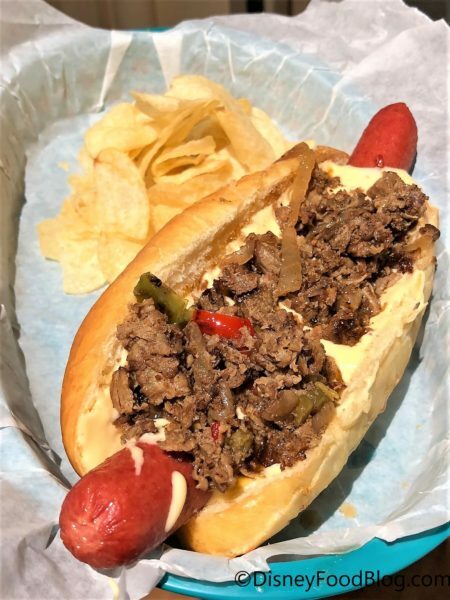 It’s good, but not as flavorful as you’d expect with those peppers and onions. The cheese was lighter than your classic plastic cheese, but it was still really tasty. It’s certainly a step-up from your typical dog! Worth your $$$? 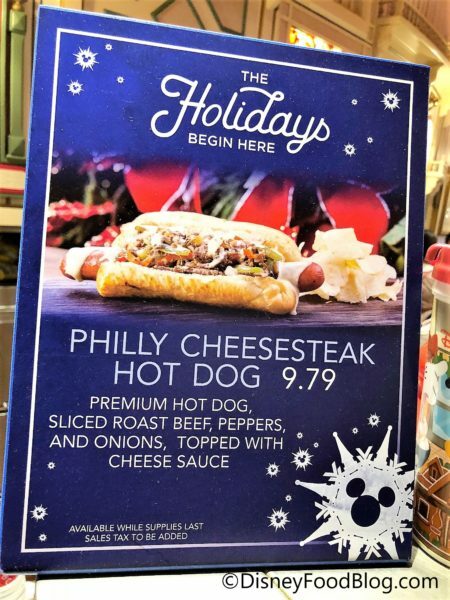 Well, I’d probably spend the cash on the holiday dog over at Award Weiners — more flavor altogether over there. 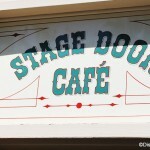 And when in Disneyland, the Plaza Inn fried chicken still reigns supreme for lunch and dinner. So this was fine, but probably not a must-get or a get-again. Want more? 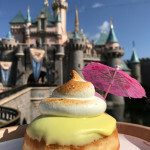 See all of our Disneyland holiday snack reviews here!! 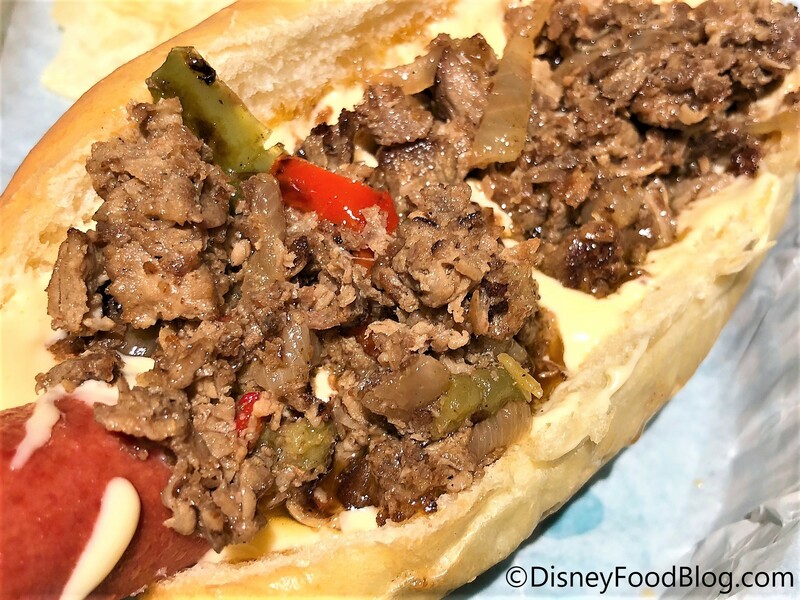 What’s your favorite dog you’ve had in a Disney park? Let us know in the comments! 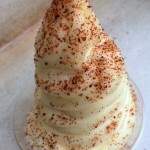 « Disney Food News: Everything That Happened Disney World This Week!